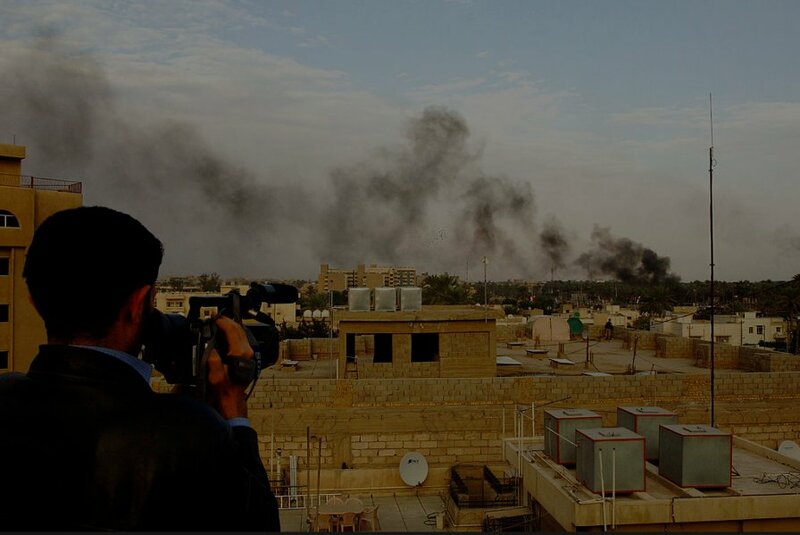 According to a new joint investigation by the Sunday Times and the Bureau of Investigative Journalism, the Pentagon paid a PR firm based in the U.K. over half a billion dollars to make fake terrorist videos in Iraq as part of an enormous propaganda campaign. PR firm Bell Pottinger fabricated short TV segments designed to imitate Arabic news networks and “fake insurgent videos which could be used to track the people who watched them, according to a former employee,” reports the Bureau. High-ranking U.S. military officials worked with the firm’s employees at Baghdad Camp Victory to create anti-terrorism propaganda to imitate the real thing, the Bureau claims. Besides the Pentagon, Bell Pottinger’s list of clientele reads like the who’s who of unsavory characters — Chilean dictator Augusto Pinochet’s foundation, Margaret Thatcher, and the government of Saudi Arabia, for example. Bell Pottinger’s former chairman, Lord Tim Bell, reportedly confirmed to the Times collaborated on a “covert” military operation “covered by various secrecy agencies” — and reported to the CIA, the Pentagon, and the National Security Council. According to the report, the firm was brought to Iraq and began working shortly after the United States first invaded, under the condition it negatively portray Al Qaeda — and then track who watched the propaganda. Both the White House and General David Petraeus, then commander of coalition forces in Iraq, signed off on the program — thus the president was almost certainly well aware of its existence. “In the first media interview any Bell Pottinger employee has given about the work for the US military in Iraq, video editor Martin Wells – who no longer works for the company – told the Bureau his time in Camp Victory was ‘shocking, eye-opening, life-changing,’” the Bureau reports. By tracking U.S. Army contracts, records of federal procurement transactions, reports for the Department of Defense Office of Inspector General, corporate records from Bell Pottinger, and more, the Bureau was able to discover the extent of the program. Records revealed the operation involving the PR firm cost well over $100 million each year — and at its height, employed more than 300 British and Iraqi staff. A former Bell Pottinger employee, Martin Wells, discussed his unusual job with the Bureau in an interview, saying he had no idea what the job was about when he came on board in 2006. “You’ll be doing new stuff that’ll be coming out of the Middle East,” the video editor was told by his agent. For the ‘grey ops’ portion of the work, the employees crafted television commercials showing Al Qaeda negatively, and others involved making segments designed to look as if they’d been “created by Arabic TV,” Wells noted. Bell Pottinger film crews went on location to tape low definition bombings by Al Qaeda, which would then be edited appropriately for believability, voiced over in Arabic, and distributed to TV stations in the region — though the outlets weren’t always made aware of the American involvement in such segments. Only three people had access to who was tracked in this way, he explained — himself, a U.S. military commander, and a senior manager at the PR firm. However, an unnamed and thus unverified U.S. defense official confirmed Wells’ account that Bell Pottinger also performed work under the Joint Psychological Operations Task Force (JPOTF) — bringing to mind similarities to Operation Mockingbird. Clearly, the military would have interest in shifting the regional narrative in its favor — but continued government hijacking of the media seems at best highly questionable, and at worst, detrimental to the very idea of a free press. Bell Pottinger cut ties with the U.S. military propaganda operation in 2011, when the unit it worked with left Iraq.